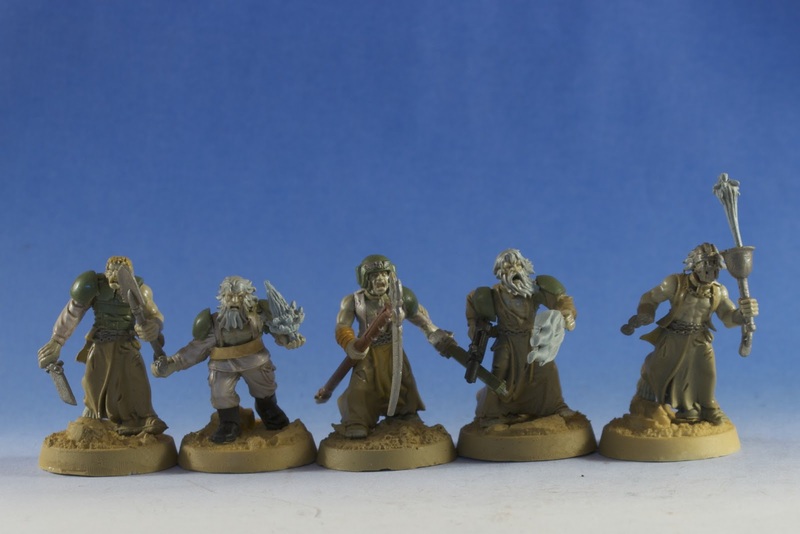 One of the coolest units in the new Imperial Guard codex is the Psychic Battle Squad. The variable AP template is cool and all, but Weaken Resolve is where the money is. A near automatic Ld reduction coupled with the shooting power of the Imperial Guard can threaten any unit in the game that doesn't have fearless. I say nearly, because as my last few games have showed me- I can't roll a psychic power test for crap! Still, I love the PBS (the station and the squad). Since there are no official models for the PBS we are left to conversions and luckily for us there are lots of options. 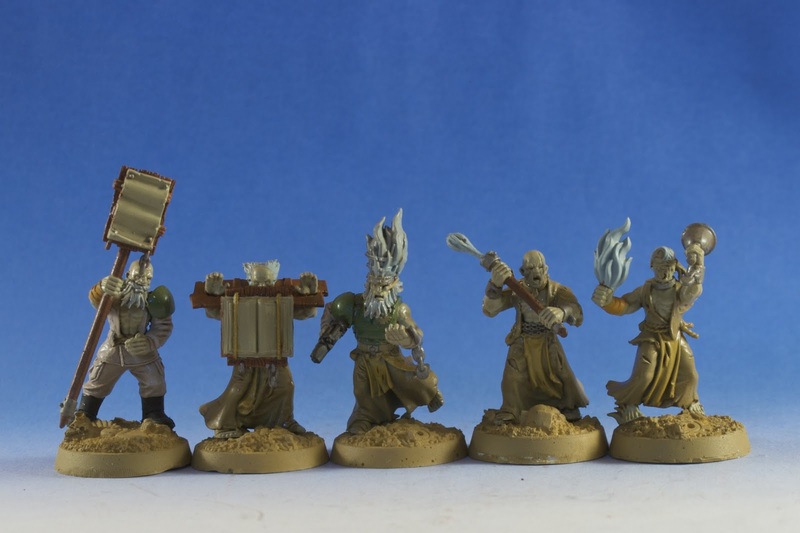 One of the most popular are generic guardsmen with Empire Flagellant bits. Its a simple, yet elegant solution. At Adepticon this year I talked with several people who used Armorcast scenic effect bits to add some flare to their conversions. Nice job mixing the kits together, they look really good. I don't know how the commissars let any of them live this long, though. Commissar Jason would put a bolt round or two into each of them if he could but I guess I'll have to rely on your crappy dice to ensure that they all die quickly.